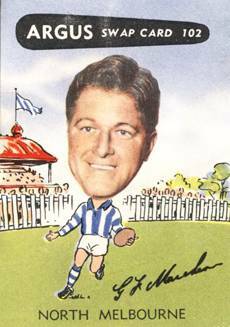 MUCH of North Melbourne's success in the last year or two has come from the play of GERALD MARCHESI and DON CONDON on the halt-forward line. 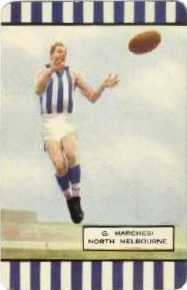 Marchesi, son of a former Geelong star, came to the club from Kensington Y.C.W., and played 54 games with the seconds before gaining promotion, but he was then only 19. 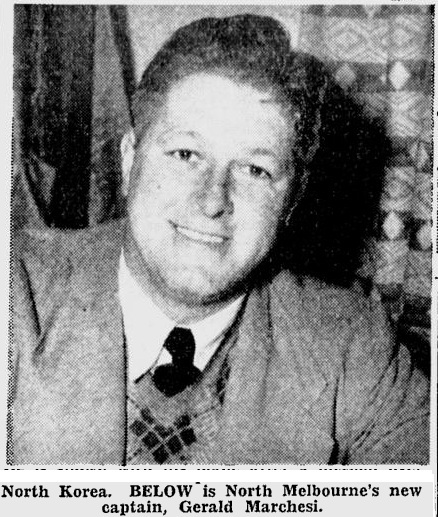 He had his first senior game in 1948, and gained his big opportunity last year. He is strongly built, but is fast, and a good mark. His kicking has improved. Marchesi is single, living in Kensington with his people, and he is a butcher by trade. In the summer he does a little footrunning. 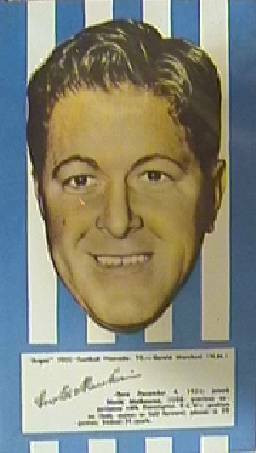 Condon is a local boy who, playing with the thirds, saw no chance of promotion, so joined Brighton (V.F.A.) for experience. 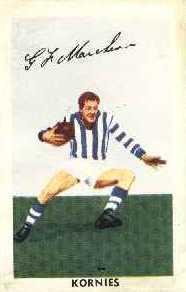 At the end of one season he returned to North, and went straight into the senior side. 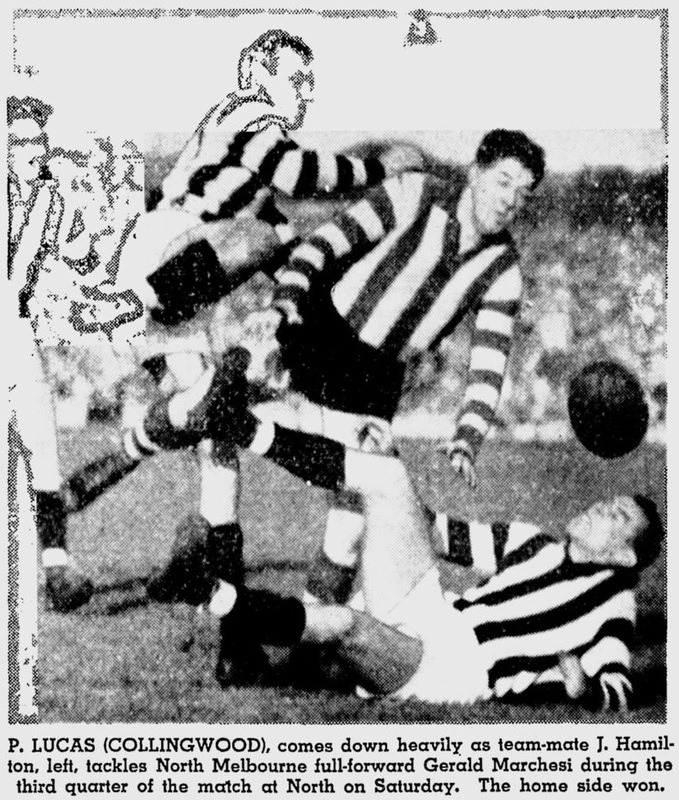 That was in 1944, and he has been a grand player ever since, his tally being 108 games and 176 goals up to the end of last season. 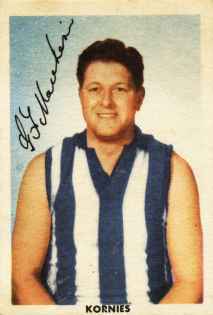 After a spell of roving and forward pocket play he was sent to half-for- ward, and has become a specialist there. An excellent kick, a fast mover, elusive, and clever, Don is a worry to opponents.